up by the FBI’s own in-house automatic filtering software? 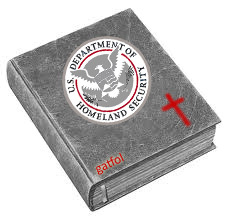 This entry was posted in Content Filtering and tagged Bible, Content Filtering, FBI, language, sexting on February 26, 2013 by Gatfol Team. The Coming Augmented Reality Language Semantic Conundrum…. A practical obstacle to workable mobile augmented reality technology is currently largely being overlooked. For a simple expression like “hangout at the flying club…” we have 5 non-specific words that can be replaced with semantic equivalent word groups without statement meaning change. By just replacing each of these words with – let’s say – ten alternatives we have over a hundred thousand statements semantically equivalent to our original statement – and instructing the downstream AR in the same way as the original. For all the above statements in our example video, a very reasonable semantic expansion can easily run into trillions of semantically equivalent language inputs. For any AR system to language-wise “equalise” all input semantic alternatives to a standard “base” that can for instance hit keywords in a programmatic backend environment, is impossible without near real-time massive input expansion. Gatfol supplies this in milliseconds. With Gatfol, any AR input statement is semantically “amplified” in-stream (or simplified to the generic base) to make downstream language processing permutation-wise possible. This entry was posted in Augmented Reality and tagged Augmented Reality, Google Glass, language, semantic expansion on February 16, 2013 by Gatfol Team. This entry was posted in Language Simplification and tagged language, semi-literate, vocabulary, Web Text Simplification on January 26, 2013 by Gatfol Team. Gatfol is a provisionally patented, natural language, browser-based mobile technology that opens up the web to challenged readers in Africa and emerging economies worldwide. Gatfol technology simplifies web text instantly to match the preferred reading level of any language challenged (semi-literate) web user. 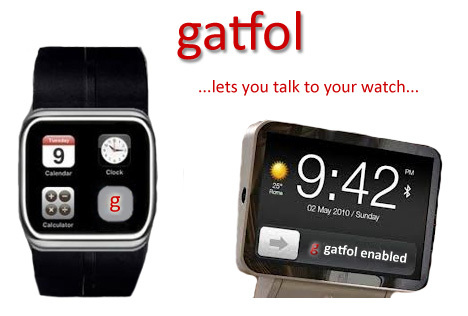 The Gatfol technology traversed a 9-year development period before patent application. This solid ground level base enables Gatfol to efficiently “translate” even large volumes of web text very quickly into simple reading components. 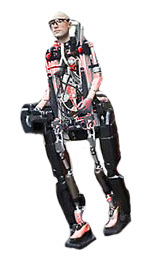 The technology is unique in that it provides for a fast multiword-to-multiword stepwise crystallization of natural language (English) from semantic complexity to semantic simplicity and vice versa. 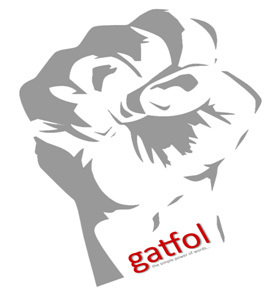 Gatfol has operational code frameworks available to run as a Cloud-based service or in case of confidential data streams – as a local master and slave technology to quickly simplify web language – even in-line and in real time. This confidential data stream technology can run on as simple a platform as a single desktop machine or ordinary Windows network set-up. 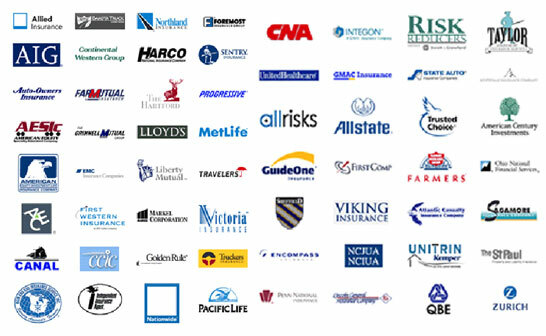 As an adult further education language tool, Gatfol is very cost effective. Most of the large African literacy programs carry a cost per semi-literate learner per year of around $50. 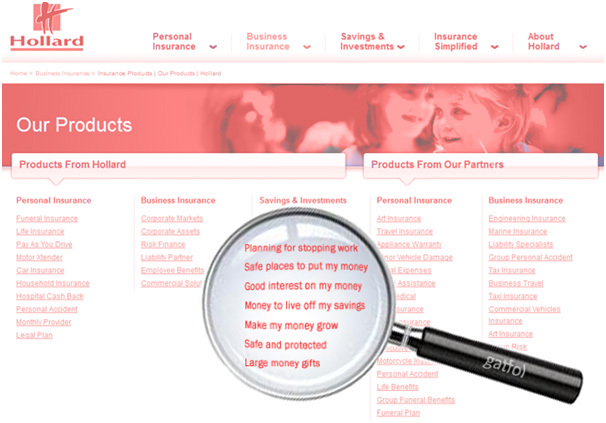 Gatfol web text simplification technology brings down the costs per semi-literate learner substantially. Gatfol calculates that for just $1.80 per year, the English vocabulary of a challenged reader can be increased a HUNDRED fold – from a vocabulary of 200 words to a vocabulary of 20 000 words. 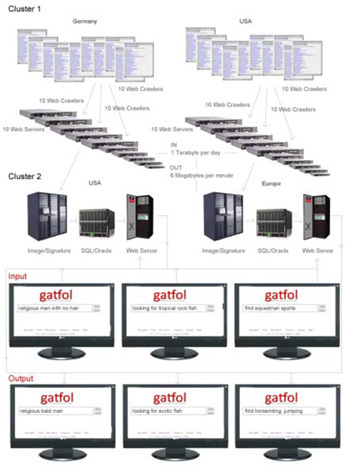 Web-enabled mobile devices using Gatfol technology also give disadvantaged users an opportunity to “see” online web language of a higher semantic complexity than by using the relatively basic English language material covered by further education programs. This entry was posted in Language Simplification and tagged natural language, Search, semantic, Web Text Simplification on January 17, 2013 by Gatfol Team. 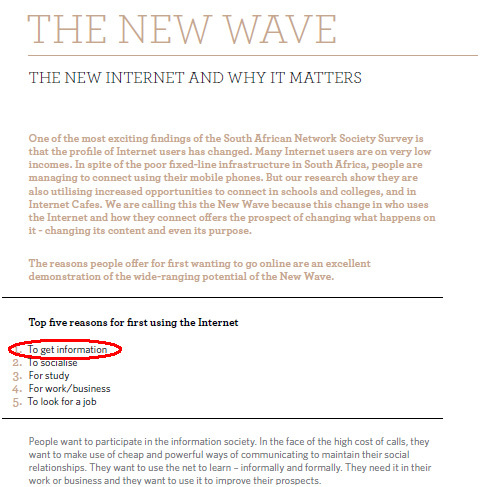 The Problem: Online Web Language and Disadvantaged Users…. Web-enabled mobile devices, tablets and notebooks across all age groups are rapidly becoming the primary media with which to access the internet in emerging markets. In Sub-Saharan Africa, SE Asia and other developing economies, broadband connections are becoming faster and more affordable. 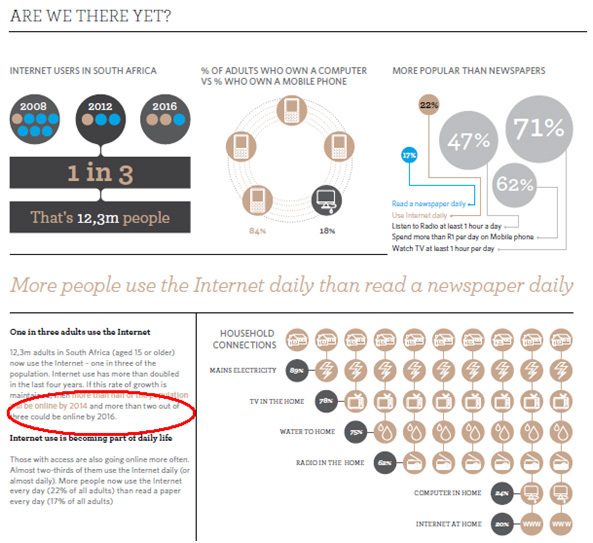 Roughly 69% of all internet users now do so through a mobile device. English is the “language of the web”. English language proficiency is becoming increasingly important in order to participate effectively on the internet. It is estimated that 300 million adults in Africa and 200 million adults in India have English reading skills lower than that of an average 14 year old. In many cases literacy levels drop to as low as only 200 words in English. 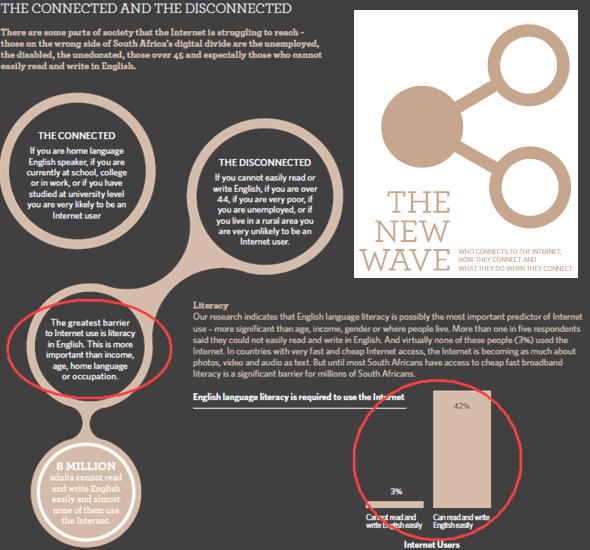 English literacy represents a huge barrier to using the internet. Research shows that a low literacy level is a greater deterrent to entering- and continuous use of the web than income, age, home language or occupation. The argument exists that web language translation into English neutralises the problem of deficient English literacy levels. Translation into English from other languages, however, is not all-encompassing or effective. Of the current 64 languages Google translates into, not a SINGLE ONE of the 16 LARGEST African languages spoken by over 300 million people are included. 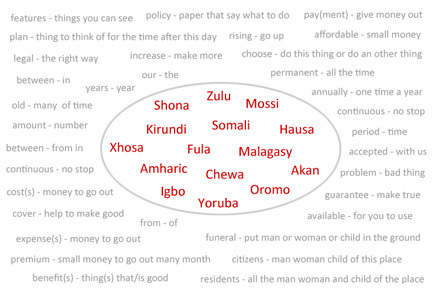 Many of these African languages are primary home languages, meaning that millions of people with English as the relegated second home language remain effectively “disconnected” from the web. In the next few years, it is predicted that roughly 2 out of 3 adults in developing countries will be using mobile internet resources for their information needs, with the implication that Government online communication will correspondingly become more accessible. As numbers increase, this means improved English reading skills will become an even larger asset from Government communication initiative viewpoints. There is an additional argument supporting negation of language factors in web interaction. English proficiency and vocabulary strengths improve continuously on a broad population basis through further adult education. This implies that the internet will be more easily understood language-wise through organic educational growth rather than through short term tool application – i.e. Gatfol. Unfortunately, further adult education is expensive, takes a long time from application to results and typically has a VERY LOW success rate in terms of language vocabulary expansion. 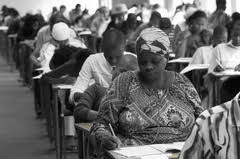 As an example – with massive (especially African) investment in adult education initiatives, UNESCO studies show that whilst illiteracy rates are dropping, illiteracy volume numbers in various parts of the developing world are actually INCREASING – mainly because of high school drop-out rates. To summarise, it is evident that English proficiency is an absolute requisite for efficient online interaction in disadvantaged societies. 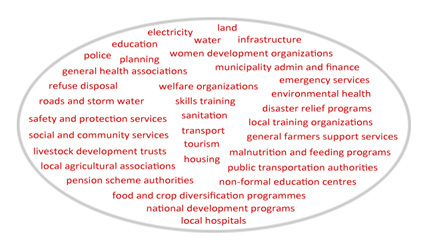 This proficiency is the essential link for effective amalgamation of online content and the special needs of lower socio-economic layers – especially with regard to national and local government ground-level communication and resource distribution. This entry was posted in Language Simplification and tagged education, illiteracy, semi-literate, unesco, web language on January 10, 2013 by Gatfol Team. Gatfol Cyborg Minions See The Future ! 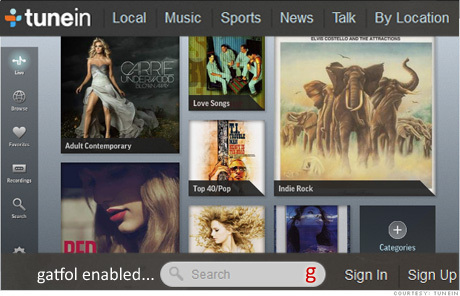 This entry was posted in Entertainment and tagged Gatfol Cyborgs, Gatfol Future, Gatfol Minions, Gatfol Power on December 31, 2012 by Gatfol Team. This entry was posted in Language Simplification and tagged education, literacy, Mobile, reading skills, simplify language on November 24, 2012 by Gatfol Team. 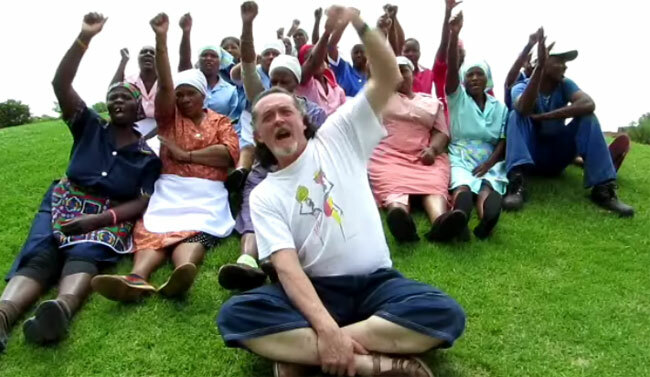 At the lower end of the socio-economic scale are the “excluded” – huge population swathes excluded from capital, -good education, -basic amenities, -job opportunities, and most of all – exclusion from information in general and online information in particular. 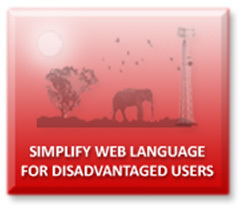 The language of the web – English – can semantically and grammarwise be difficult to understand with many levels of complexity. For tens of millions of adults in the developing world now carrying smartphones – empowered but online impotent, exclusion still reigns as online text information is freely at hand at increased affordability, but not fully understandable at lower reading-skill levels. 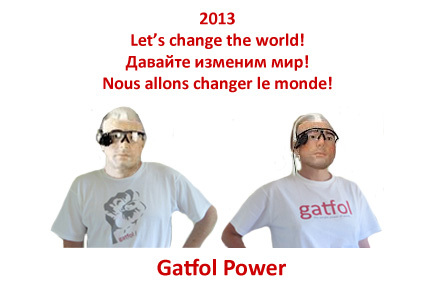 Gatfol employs a world-first patented semantic technology to translate English online text into tiny vocabularies to enable hundreds of millions of reading-challenged persons worldwide to instantly and in real-time magnify limited vocabularies into graduate-level first-world massive word power. By empowering the reading challenged and also semi-literate populations of the world, Gatfol wants to change the socio-economic landscape from the “bottom-up” to bring our information-rich privileged online world to the huge number of disadvantaged people with mobile handset ownership. 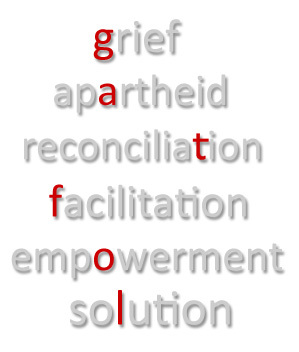 In doing so, Gatfol wants to push the fully lowest socio-economic level of humanity upwards to have at least some future interface and interaction with the online world of information. This entry was posted in Language Simplification and tagged Gatfol Simplification, semi-literate, translate English, vocabularies on November 16, 2012 by Gatfol Team. 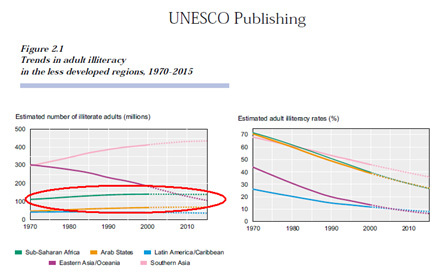 At least half a billion LITERATE adults worldwide have at most been educated to primary school level. At least one in every two has a cell phone. 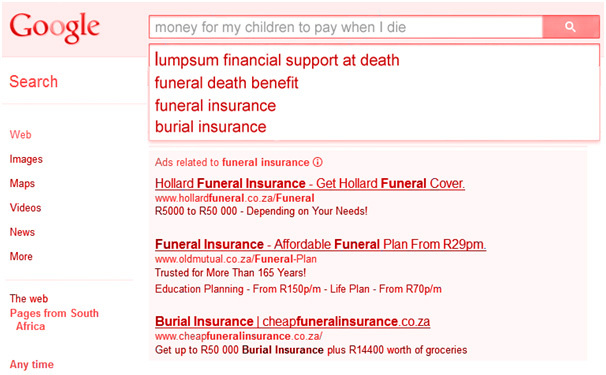 (taken from the Hollard insurance website with products specifically for them), they do not understand. at a level substantial enough to act upon. economically burdensome, both on an individual- and family group level. This entry was posted in Mobile and tagged Africa, cell phone, Funeral Insurance, literacy, simplification on October 20, 2012 by Gatfol Team.